 Pad-2-Let Limited are a successful family owned Property Agent with over 40 years experience in Residential and Commercial Properties. Our continuing aim is our commitment to provide a professional friendly residential letting and property management service fully focused on the priorities and needs of landlords & tenants. We provide specialist management services in quality residential lettings throughout North East Lancashire, including but not limited to Pendle, Craven and the Ribble Valley. As well as our dedication to customer care, we believe our success lies in an ongoing commitment to maintaining an excellent level of customer satisfaction that is exceptional in the letting industry. With an extensive knowledge of the local property market we are dedicated to finding the perfect property match for both tenants and landlords alike. Whether your dealings are in person, on the phone or via the internet, we guarantee you will receive the best service possible.  Pad-4-Sale are not your typical online agent, nor your traditional high street agent, we provide a choice of either Online or Traditional services. We are an established family managed agent with a dedicated team of professionally qualified staff with property experience and extensive knowledge of the local property market throughout North East Lancashire, North and West Yorkshire, Pendle and the Ribble Valley. Our fees are fixed so whether you are instructing us to sell an apartment, terraced, semi-detached or detached property our fees remain fixed at the same rate. Our fees are not subject to V.A.T which ensures we remain as competitive as possible, without compromising the level of service. As well as our dedication to customer care, we believe our success lies in an ongoing commitment to maintain an excellent level of customer satisfaction that is exceptional within the estate agent business. Whether you are dealing with us in person, on the telephone or via the internet, we guarantee you will receive the best possible customer service. We are a modern estate agent offering all the services of a traditional estate agent does with an option of an online only or combined service. Our aim is to give you more control over the way you sell your home, saving you a huge amount of money. Why is it called Pad-4-Sale? 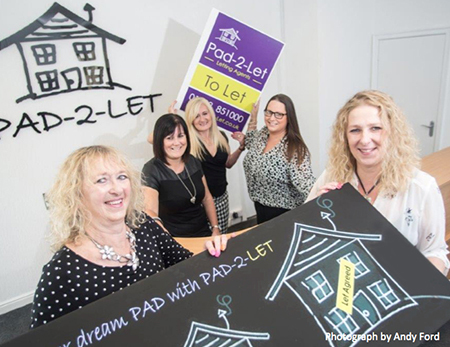 The founder of Pad-2-Let limited is Pauline Ann Davies so with the initials PAD it seemed the right choice for a property company and brand Pad-4-sale and Pad-2-Let. It's a fact that a high percentage of home movers search for a property online using property portals such as Rightmove so why do some estate agents still have high street branches and charge a percentage based fees? We found that although home movers want to save money when selling they are often reluctant to use online estate agents as they value the knowledge and service they receive from using a good traditional high street agent. Why not have both options, with a Hybrid service ? We have listened to our customers and created a flexible hybrid service so that we can now market and sell a property to compete with online only agents, whilst still offering the support and expertise of a traditional local high street agent.